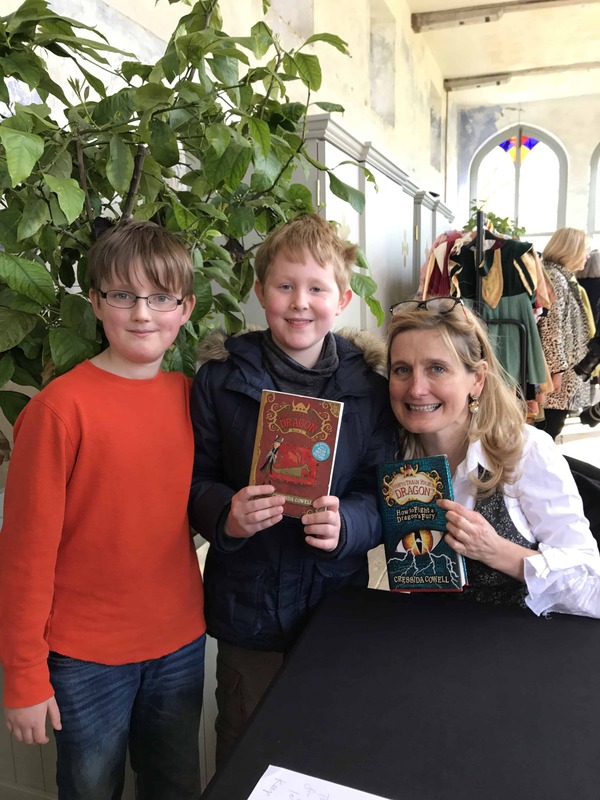 On Saturday 25th March, Ford Western and Archie Elves went to see Cressida Cowell, author of How to Train Your Dragon, at the Knole Park Children’s Book Festival. 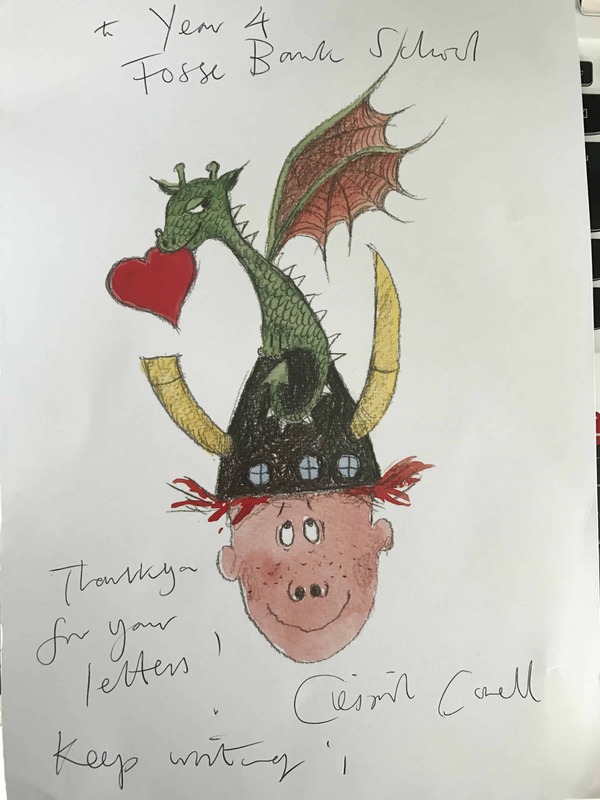 Year 4 has been studying How to Train Your Dragon and they all wrote letters to Cressida Cowell which Ford and Archie delivered to her on Saturday. She was delighted and kindly took a look at the letters, promising to read them all later when she had a quiet moment. 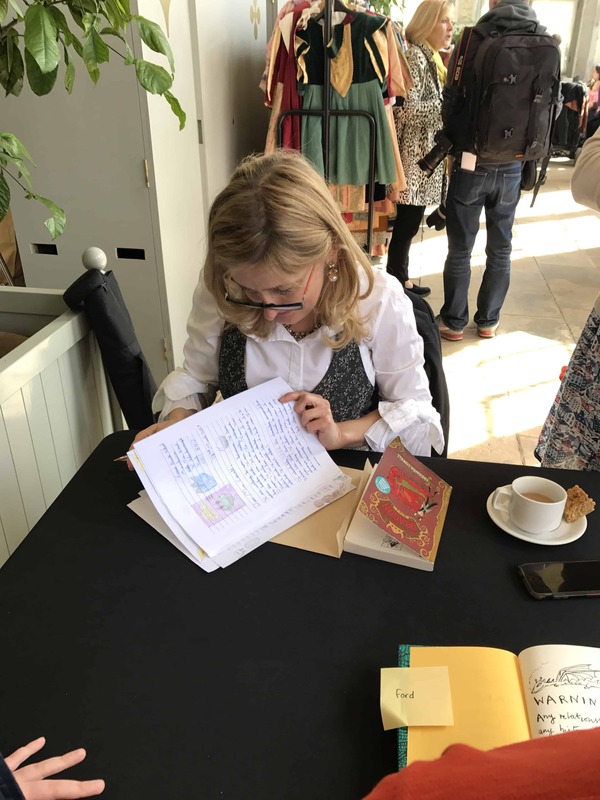 Cressida Cowell even wrote a lovely thank-you letter to the Year 4 class. Ford and Archie were such good ambassadors for the school, displaying impeccable manners when they spoke to her. Well done boys.